Here is your Dragonfruit horoscope for today: Sometimes a juicy dragonfruit will split open right on the vine, giving the appearance of a smiling dragon head. This delicious, juicy wonderment elicits a deep passion within many people. If you happen to be a dragonfruit, look out for the affection of others… It can be all-consuming. Saturday summer farm stand at ARTfarm, 10 AM – 12 noon: salad mix, microgreens, cucumbers; beets, radishes and onions with their beautiful edible green tops; Italian basil, recao, mint, thyme, papaya, passionfruit, pineapple, and Julie and kidney mangoes from ARTfarm. 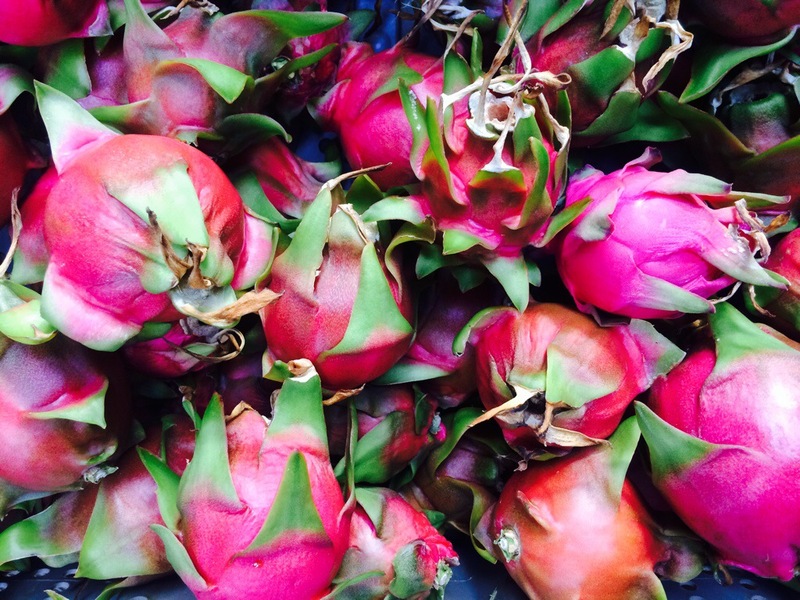 From our partners: Dragonfruit from Solitude Farm, fresh bread from Tess, raw local honey from Errol!